This past weekend I completed the process of reclaiming all of my screens to prepare them for the new batch of images that I have been working on. Reclaiming is a process that strips out the old emulsion (the chemical that makes the stencil on the screen) and remove the ghosting image left from ink that has stained the screen. 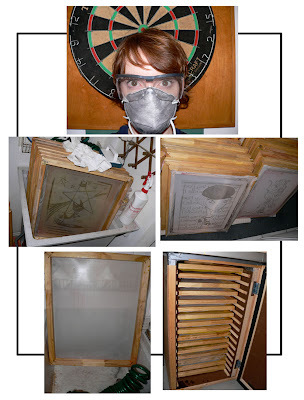 The removal of the ghosting image didn't go as well as the stripping process, there were a lot of ghosts that just wouldn't come out of the screens. I'll have to look for a better chemical that does a better job. But all 27 screens are prepped and ready for new emulsion to be applied so I can burn the new crop of images onto them. Which means a new batch of shirts will be printed soon onto the new shirts that I should be receiving in the mail any day now. Oooooooh, the smell of a new crop. 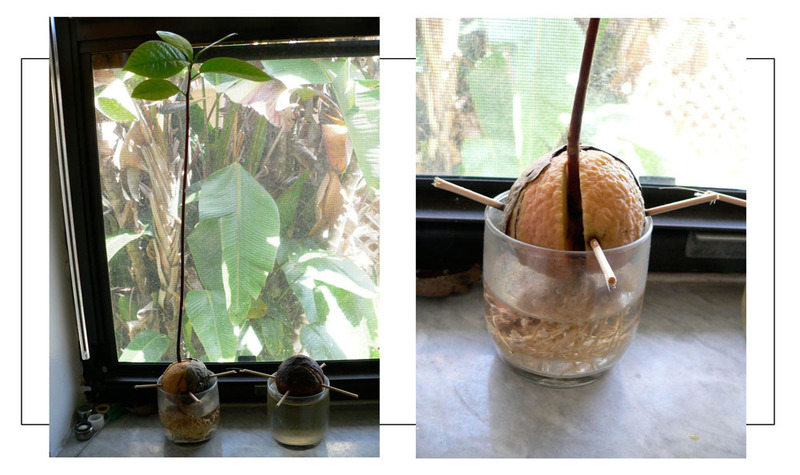 I also had to include images of the avocados that I'm growing in our kitchen windowsill. The seeds came from fresh avocados that we ate within the last couple of weeks.